This fun challah cover is made from Lots of little triangles, each a separate small piece of fabric. 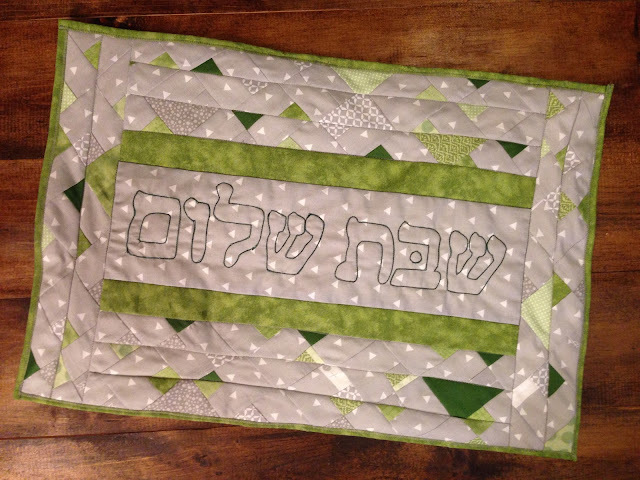 Spice up your Shabbat table, or give as an engagement, wedding or anniversary gift. 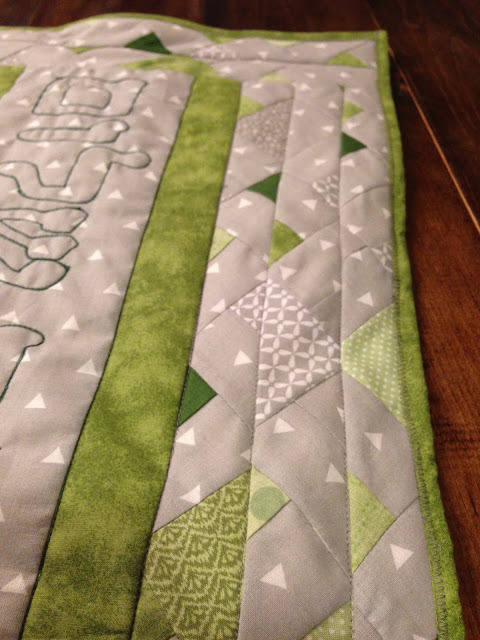 Makes a great housewarming, or hostess gift too! 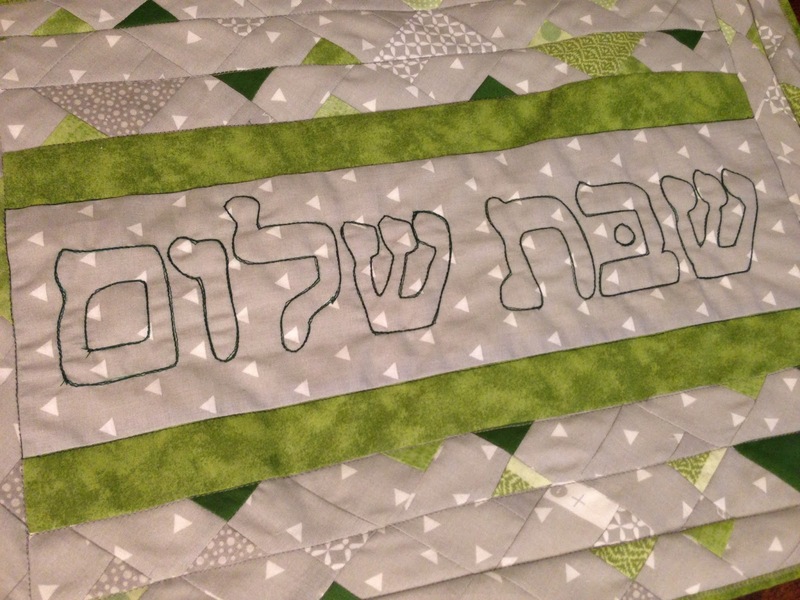 The challah cover can be personalized with names, initials, wedding dates, etc. Contact me today for more information!